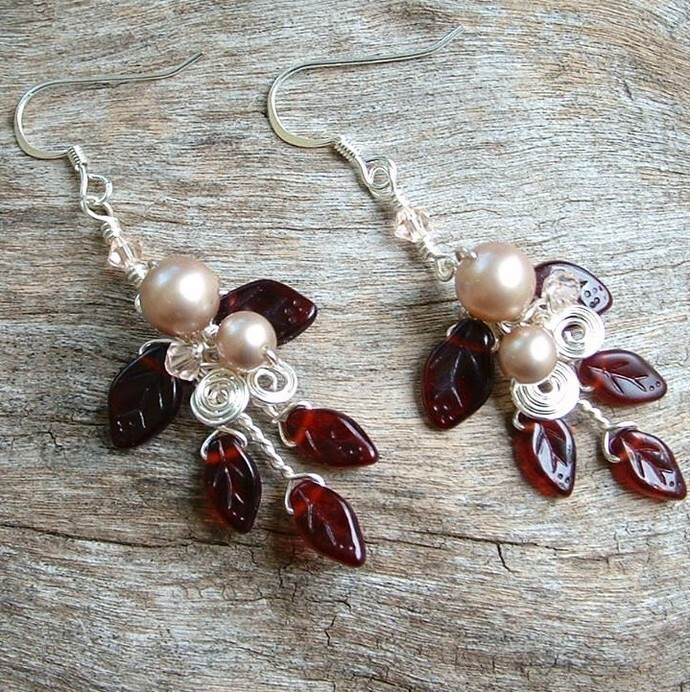 Earrings of garnet & ivory, perfect for a Christmas or Valentines wedding! One of my favorite illustrators of fairy tales is Arthur Rackham...his illustrations for "Peter Pan in Kensington Gardens" are delightful and portray Mab (Queen of the fairie realm in Kensington Gardens) as a very beautiful fairy queen often arrayed in muted colours of ivory with a touch of burgandy red. When I was asked to create a wedding set in these colours, I thought it only fitting to name them in honour of the faery queen.